The Xiaomi Redmi Note 4 is here, continuing the company’s tradition of launching phones with good specifications at low price tags. The strategy has paid off spectacularly, as Xiaomi crossed the $1 billion revenue milestone in India last year. While the company’s vast product portfolio now includes fitness bands, earphones, air purifiers, power banks, and other devices, smartphones continue to be the stars, and the Redmi series – of which the Redmi Note 4 is the newest member – has been a key contributor to its success. Much like its predecessor, the Xiaomi Redmi Note 4 model sports an-all metal body and boasts of impressive specifications. While the Chinese version of the Xiaomi Redmi Note 4 was unveiled in August last year with a MediaTek SoC, the one launched in India packs a Qualcomm chip. The Redmi Note 4 has been priced competitively and will be going up against some of the most popular smartphones in the market right now. Will the new Xiaomi Redmi Note 4 be able to continue the company’s dream run in the Indian market, or will it turn out to be a run-of-the-mill device? Find out in our Xiaomi Redmi Note 4 review. The Redmi Note 4 follows the Redmi Note 3 closely when it comes to design. The front panel of the Redmi Note 4 is very similar to that of its predecessor, with similar capacitive navigation buttons below the display and slim borders around it. There’s also 2.5D curved-edge glass across the front, giving this phone a premium feel. The all-metal phone feels sturdy, and compared to the Redmi Note 3, the rear panel on the Redmi Note 4 is less slippery. The handset has a hybrid SIM tray which supports one Nano-SIM and one Micro-SIM or a microSD card. Xiaomi notes that both SIM cards support 3G and 4G networks. The company has definitely taken note of complaints of the Redmi Note 3’s 32GB microSD capacity limit. The Redmi Note 4 supports microSD cards of up to 128GB which should be sufficient for most people. Xiaomi Redmi Note 4 has a non-removable 4100mAh battery which is marginally bigger than the 4050mAh one seen on the Redmi Note 3. There’s a 13-megapixel rear camera with f/2.0 aperture, PDAF (phase detection autofocus), and a dual-tone LED flash. There is also a 5-megapixel front-facing camera with f/2.0 aperture and a fixed-focus lens. Users also get dual-band Wi-Fi 802.11a/b/g/n, Bluetooth 4.1, USB OTG, FM radio, GPS/ A-GPS, Miracast, GLONASS, and BeiDou. Much like its predecessor, the Redmi Note 4 also gives NFC connectivity a miss. 4G and VoLTE are supported, and we were happy with call quality. The Redmi Note 4 runs MIUI 8 based on Android 6.0.1 Marshmallow. Xiaomi has added plenty of new features including Now on Tap which was one of the highlights of Android Marshmallow, introduced in 2015. Google’s Now on Tap can be triggered within any app just by long-pressing the Home button, and can use what’s on screen as context for your searches. MIUI 8 on the Redmi Note 4 looks light and polished compared to previous versions. We were impressed with the system animations, which look refreshing, including a neat one when you uninstall an app. The Redmi Note 4 is very good for media playback thanks to the excellent IPS display, and it supports high-resolution video files, including 4K ones. The speaker at the bottom is decently loud and we didn’t notice any distortion at higher volumes. Xiaomi didn’t send us a headset with this unit, so we tested audio quality through our own headphones, and were happy enough. 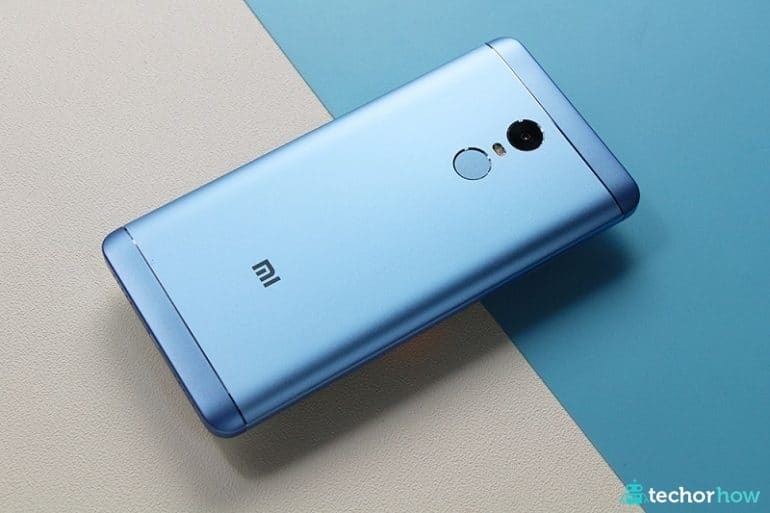 Xiaomi has focused its efforts on improving camera quality on the Redmi Note 4 after complaints about camera quality on last year’s model, and it’s clear that things are better. However, we’d still like to see low-light performance improved. Xiaomi Redmi Note 4’s 4100mAh non-removable battery lasted for 15 hours and 10 minutes in our continuous video playback test, which is impressive for a battery of this capacity. In real-world use, the phone was able to last for up to two days.